Attention is the currency of human existence, our social selves. It is how we bond with our environment and each other. At times we want to escape its control. At other times we desperately need to be held in its embrace. Give me a hug, please. Or yell when I act out. It’s my way of demanding that you truly acknowledge me. When is the last time you heard that command – or plea? Teachers and parents know that garnering attention is the secret to success in communicating with children or teens. Without focus, no amount of logic or reasoning gets through to them. Our voice becomes a continual hum of “blah, blah, blah.” Sound without meaning. So what is the secret? Think of the foreground of an image versus the background. It is called the figure-ground relationship by psychologists. All of the information is present in the image, but the foreground stands out. Parents begin developing attention with their children by pointing. Babies learn to connect pointing with importance. Eye-hand coordination is an early example of how we connect perception to objects. Engagement is like a staircase. It is built step by step. This fascinating new study raises questions about the efficacy of video and animation versus static images in learning. In many cases, a less cluttered field and less movement make retention and learning easier. The questions Cris Castro raises in the research are well framed and worth thinking about. Need some concrete teaching ideas? Keep students engaged and focused with these discussion strategies for increased student engagement. Let’s think deeply for a minute and ask: Does learning require curiosity? Curiosity is essential to the teaching and learning process. Therefore, we need to keep our conversations and instruction engaging and genuine. We need to encourage discovery. It is at the heart of motivation and strong, positive relationships. The question I always ask myself is: How do I engage and connect with my students? They are a tricky audience. Each one is unique in their background, personality, interests and academic skills. On the flip side I also explore my connection woes: Failures to establish relationships. Having favorites. Failure to listen. So many problems could be solved by just listening. How often should a teacher connect with each student? And what does each connection look like? If you are an elementary teacher with 32 students? If you are a high school teacher with 180 students? If you are an administrator responsible for a whole school? Connectedness is a state of mind and a set of behaviors. Underlying it is the idea that diversity exists within our organizational self, our group, our relationships. However, our connectedness needs to be reinforced on a regular basis. I remember when I was a first year teacher in Ithaca, New York. I often looked to my mentor teacher, Irma. She was master of her trade, full of warmth and wisdom. If I had had a child in second grade, I could have thought of no better teacher. One day I was plying her with questions about classroom management. After each idea, I replied, “That is great.” After several of these exchanges, she looked me squarely in the eye and said, “You know, if both of us think exactly the same, then one of us isn’t necessary.” I clearly knew who was expendable in that scenario. In my first year of teaching I had 25 unique children in my third grade class. To know each one was a challenge. Years later, when I was a high school teacher, connecting with 180 odd students was an even greater challenge. I always started with their names. Then their interests. I always tried to vary my interactions. 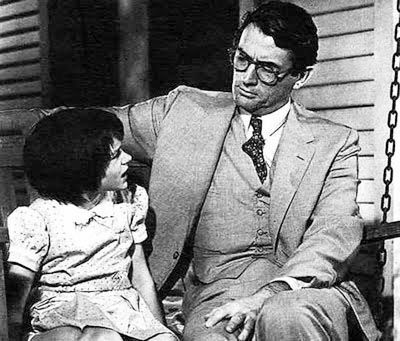 Atticus explains to young Scout how we never really know people until we walk around in their skin. I have never forgotten that quote. It still resonates with me. In this particular case, it really speaks to the importance of empathy, of how we connect to other people, and ultimately of our ability to think critically. Each year in 10th grade English class we would explore that concept with what seemed to be hundreds of variations by students. Students tied it into their own lives. Lesson planning is essential, but there are always times when things don’t go as expected. Effective teaching requires the ability to hear what students are saying, whether verbally or non-verbally. In other words, sometimes a lesson tanks. Responding to the unanticipated requires flexibility, lack of ego, but also a connection to one’s students. The lack of ego is critical. We can never take lesson failure personally. If we do, then we miss a learning opportunity for our students. That is what teaching is about: learning. I was particularly inspired recently with a drawing by teacher and artist Sylvia Duckworth. It is called “The Anatomy of an Idea” (see below). I found it on Twitter since I follow her – which by the way is a method I recommend to developing personal learning networks. The importance and nature of empathy is explored in three videos embedded below. For those who want to know more, check out the Edutopia article by Keyana Stevens from January 2016. Enjoy the animation on empathy by Brené Brown. It could be used with professional development and it could also be used with students to stimulate discussion. It is deceptive in its simplicity. It illustrates empathy, and what it is not. Then explore this video interview, What is Empathy? with students at varying ages. It goes well beyond how to spell empathy (which the interviewer apparently asks). Children and teens offers deep insights into how we connect with each other on a deep level. Are we the only species to experience empathy? Some jaded folks might say not all humans experience it. Some scientists say that empathy is a human concept even though there is ample evidence on how animals comfort each other. I leave it to you for your consideration in the following video, Do Animals Have Empathy? The study makes a pointed observation that our students are disengaging. Distraction may be a part of the cause. For example, 87% of millennials admit to missing out on conversations because they were distracted by their phones. The effect on the ability to focus can be significant. Ironically, in a world that is increasingly connected, we as individuals, as families, as a society, are becoming less connected. Teaching and learning is about more than skills. Academic development – including critical thinking – should include social-emotional awareness. That means that developing empathy is a core trait to be nurtured and developed. It is the core of our connectedness. It is our anchor with what is humanly important. Literacy is evolving. The Internet is an information engine of astounding force. Information is widely available today that in another era would have taken substantial amounts of time and effort to obtain. However, trying to read from the Internet is like trying to take a drink from a fire hose. It therefore requires literacy of a new order. Just what is the value of digital literacy? I recently came upon this assessment in a World Economic Forum article on digital life skills. It made me think of how core skills evolve over time. Is it one thing or many things? Is it glorified tech hype, or an actual paradigm shift in thinking? While the word “literacy” alone generally refers to reading and writing skills, when you tack on the word “digital” before it, the term encompasses much, much more. Spires and Bartlett make the argument that we should refer to the concept as a multi-faceted, plural one, that is, as digital literacies. For an in-depth exploration of the topic, check out Digital Literacies and Learning: Designing a Path Forward. It is a worthwhile research paper. One intriguing perspective on sharing content has been put forth by Renee Hobbs of University of Rhode Island. She argues that digital authorship is “a form of social power.” It certainly is accurate, but this leads one to ask: Is activism a form of literacy? Creating digital content is undoubtedly both a creative and collaborative process, but how do we separate one’s persuasive argument or political agenda from the objective pursuit of truth? How do we separate one’s persuasive argument or political agenda from the objective pursuit of truth? Does student voice equate to student truth? The above quote is mine. It reflects the trends toward hyper-partisanship as part of our cultural landscape. There is often a blurred line between subjective and objective states of affairs. The louder voice is not necessarily the one proclaiming truth nor the best way forward. Then there is the option of making Americans more media-savvy. He discusses the possibility of making media literacy a part of California curriculum. The article contains references to pending California legislation, the goal of which is to make students more media-savvy. Whether such a legislative approach can be effective in refining human judgment remains to be seen, but the discussion is worthwhile. The paradigm shift in the journey to find truth is a cognitive one. It is an age-old quest. Life is a matter of perspective. The other day it started with a ball. I was walking on the beach playing with my Golden Retriever. She loves to chase balls and, when possible, go swimming. However, the tide was at it lowest point. The beach was separated from the Bay by an enormous mud flat. I though about that: It was low tide. In another five hours or so it would be high tide. Then low tide again. A continual rhythm. It seemed to exist in a parallel reality with the rhythm of me throwing the ball; Daisy retrieving it; me throwing it again. Play is learning. It also has a restorative function. Perspective broadens if one allows one’s mind stretch. Some call this meditation. I love playing with my dog. I also love playing with my young grandchildren. They (my grandchildren) are boy and girl twins who recently turned two years old. I love to observe as they play and grow. The other day they pulled out the pieces of Mr. Potato Head from their toy box. The body is one big, separate piece, and all of the body parts are smaller, separate pieces. I watched as they took each piece and tried to insert it into every other toy in the box: Will this eye fit in my Thomas the Tank Engine? Will the mouth fit in the singing alphabet centipede? Will the ear fit in my cup water cup bottle? They generated endless variations of the same behavior while exploring. Eventually they moved on to another activity. I thought: This is why algorithms will never substitute for human discovery. Learning and play is too random. It is often goal seeking, but not necessarily. Through play we learn what things are, and what they are not. Play is its own reward. It also restores the mind and spirit. Back on the beach with my dog, I stared out toward the area beyond the mud flats. In my mind’s eye, I could imagine where the water level would be at high tide as defined by the ring of damp sand. I could see the flats and rocks being covered by the Bay. I knew that this was just a snapshot in time. My perspective was incomplete. Daisy and I were part of a larger rhythm: the tides. When I got home later, I checked the tide chart online. Above you see a chart for San Francisco Bay. It is in table form. Low tide was at 11:20 am. I was there about an hour later. While on the beach, I continued to think about cycles and waves. I thought: I am watching a sine wave. So when I got home, after the tide table, I checked out the graphing calculator, Desmos (free, highly recommended, works on multiple devices). I guess that math really does describe the real world. Ebb and flow are terms that are typically applied to tides, but they are metaphors for many more things. How many other things in life are matters of perspective, snapshots in time, like bouncing balls on the ground? We view so many things in limited ways. I started this blog with a ball. So why not end with one? Perspective can be spiral. Sometimes our reasoning can take many lateral or spiral jaunts if we allow ourselves. We can enrich and enlarge our experience, expand our learning and develop core concepts. How do you imagine what comes before and after? What ideas are related? How does this apply to teaching and learning in the classroom? Integrated repetition is how we learn. Allow students to explore connections and play with ideas. Have you ever hit a learning wall with a student? Perhaps more than one? Learning is a complex, interactive process. One cannot simply open up an individual’s head and pour in knowledge. All learners must integrate new knowledge into their existing schema and experiences. To do that, they must be engaged. They must be able to see or glean a connection between whatever new concept is being taught and what they already know. In other words, they must construct knowledge. Obstacles to learning may manifest differently with different students. Teachers have to navigate thoughtfully in order to guide students toward achievement. The practical question is: What does a teacher have to do to overcome such barriers? Part of the answer lies in student engagement. Without it, any lesson becomes dust in the wind. Part can be controlled by determining how, what and why we assess. Part lies in the strategy of instructional scaffolding, that is, designing accessible learning activities. Never take student reluctance to learn as a personal affront. Rather, it is a learning challenge to be met and sometimes re-thought. Mindsets are the habits-of-mind and the frames-of-reference we carry within ourselves. This is as true for adults as it is for students. The most popular beginning point in exploring mindsets is to understand the difference between fixed mindsets and growth mindsets. Carol Dweck of Stanford University helped conceptualize the role of mindsets in learning. One of the key concepts she promoted was the art of not yet: When a student struggles for mastery, but underachieves it, it is not a failure. Rather, they have not yet mastered it. Getting students to internalize that message is an essential part of scaffolding instruction and improving student achievement. They employ a growth mindset. Students who can persist, or show grit, make better lifelong learners and problem solvers. The following animation offers an engaging introduction to growth mindsets. Building classroom engagement requires freshness and novelty, but not necessarily in the way one might think. Just as an actor practices his or her lines before going onstage or in front of a camera, so must the teacher build a lesson plan before starting getting in front of students. Preparation allows engagement to flourish. Many teachers are not engaged in their jobs, Gallup poll finds. Engagement through place-based learning – a student’s perspective. One barrier to learning engagement may result from lack of student voice and choice. Just what do voice and choice for students mean? This Edutopia article gives a great overview, and it links to seven short films that explore the theme. Teachers only have indirect control over student learning. They do, however, have control over what they assess, how they teach, and classroom activities. I discovered the animation below when I was reading an article called Barriers to Learning created by Brandy Antonio. I was struck by the common sense approach to having a teacher focus on what is going on in multiple factors we often forget to assess or take into account. Assessment drives learning in that it focuses our attention on what students need to learn, and what to teach. Although the curriculum often sculpts our lessons, it is essential to know our students: what they know and what they do not know. We also need to understand their interests because that helps determine engagement. Check out these student interest inventories for some useful ideas. Overcoming barriers to learning is never a simple process, but it is feasible. It requires a growth mindset. The power of not-yet applies to teachers as well as to students. I have taught and administered in K-12 schools for 25 years. I have evolved over time, becoming more confidant, perhaps no more so than in the area of classroom management and learning how to maintain strong student relationships. It was natural for me to also teach graduate school at some point since virtually all teachers in California are required to obtain 30 graduate hours. I have taught Teaching of Reading, ESL/ELD/SDAIE, Educational Technology, and Educational Research. Yet one commonality had to do with the questions my students asked me on the first day of class. Almost all of them were employed as K-12 teachers, and they wanted to know about classroom management. They did not want the theory. At least not at first. They wanted the nuts and bolts, the how-to, the step 1,2,3 of it all. So I built it into each course. What did I teach them about managing students? First, a little history and context…. Prior to my own first day of teaching, I had planned for days. I barely slept that night. In college I had been a psychology major, and I had take very few education courses, thinking them extraneous. However, on my first day in teaching third grade, I found I only had 15 minutes of usable material. 25 eight-year-olds sat calmly looking for instructions on what to do next. I was up in the ethers, and they were on earth. What I also discovered on that day was that teaching is a living, breathing process. Yet one needs to plan everything. Iteration #1: Just as no battle plan in war survives first contact with the enemy, in teaching no lesson plan survives first contact with students. Plan, plan, plan, and be ready to discard at a moment’s notice. Yet teaching is about students and relationships, not just content. In Ithaca, New York, it all boiled down to a single needy boy in class named Ethan [name changed]. I had 25 students in that third grade classroom, and every one of them was unique. Some knew how to read, but others struggled with sounding out words. Some could write a full paragraph, but others could barely write letters without reversing them. Yet whatever they knew or did not know academically, they were young children looking for bonding, guidance and relationships. Ethan was a lively, extremely impulsive boy in my class. He could barely contain his enthusiasm in all things. Sometimes his actions were entirely inappropriate. Yet as I learned more about him, I learned of a tragic family history that had altered how he behaved forever. His mother was murdered by his father right in front of him. He was now being raised by his grandmother. I remember a class field trip I had arranged to a local meteorological station. As students began to get off the bus, my wife – who had volunteered to be a chaperone – jumped up. Someone had put their hand under her dress. We were both young and took it in stride. After the tour of the station, the children climbed back on the bus. Ethan ran up to us before boarding, “Do you want to know who did that to your dress? It was me!” He laughed gleefully and scampered onto the bus. My wife and I couldn’t help but laugh as well. Ethan and I touched each other’s lives over the course of the school year. He was extremely bright, yet the trauma of witnessing his mother’s death was not something that would easily fade. He needed acceptance as a person, yet clear guidance in behavior. Both took time. Other students in the class were nearly as complex. I learned over time that teaching is about developing relationships, not just about subjects and standards. If there is no meaningful relationship between teacher and student, then engagement in the learning process is severely diminished. Iteration #2: In the classroom, the teacher and students learn together. They learn to move together as a single organism. Many books and articles have been written about management. There are some good resources that I list below. However, my own approach can be stated simply. Everyone can learn, but you have to make lessons engaging. The classroom is a learning environment. Set high standards. Develop relationships. Treat students with respect, and expect them to treat each other the same. Keep rules simple. If you have more than fingers on your hands, it’s too many. If you would like a useful article, try this from NEA. It is called Discipline Checklist: Socializing. If you are a visual learner, then watch Classroom Management Techniques, a series of videos from Edutopia. You may also find this article very useful: Classroom Management: Resource Roundup. At issue on today’s education world is how to develop higher order thinking in the midst of human diversity. To achieve that objective, one must consciously design lessons to maximize student learning. Does all learning need to look the same? How can it? As the world becomes more complex, it becomes essential to require learners to solve complex problems. We need a method and framework that focuses on multiple pathways to mastery. This type of higher-order thinking and problem solving may be harder to assess, but it represents the future world of knowledge work. Universal Design for Learning (UDL) is an important framework for designing instructional goals, lessons and assessments. It helps us understand the Why, What and How of learning with an emphasis on multiple pathways. How UDL can get you to personalized learning,” gives a very readable overview with concrete examples. I decided to share this with you, the reader, via Evernote. I wanted to illustrate the power of this great App for annotating and sharing ideas with others, and to improve the learning experience. Learn more about UDL and how you can use it in your classroom. There is no cost except time. Visit the Center for Applied Spatial Technology (CAST). It is the organization that developed and now promotes UDL. It is a leading framework in the educational reform movement. You can also follow on Twitter at @CAST_UDL. My method: After I determined that the article was worth deep reading, I downloaded it with Evernote Clearly (a plugin for Chrome). I highlighted as I read. After I logged into my Evernote account, and I changed some font sizes, color and bold style to key concepts. I then shared it. You can share individual articles or whole Notebooks in Evernote (learn more). The beauty is that whenever I make a change to the annotation, the link is automatically updated for any readers. Imagine the power of that in the classroom! Education offers multiple opportunities for taking sharing to the next level. The Internet gave birth to the World Wide Web in the early 1990’s with Mosaic and the Netscape web browser. The visual Web in turn gave birth to social media when Mark Zuckerberg first created Facebook. Social media and its many cousins are now an omnipresent part of the lives of most students and many teachers. For many years the emphasis in K-12 has been on obtaining information and then often regurgitating it or, as in the case of Common Core, testing for mastery. The model of information sharing and curation appears to have shifted from linear hierarchy to a more organic or circular modality. How does this communication evolution impact the classroom? What is the challenge for modern students in the 21st century? Will creativity and originality survive in a world of sharing, clones and wannabes? Content curation is the first challenge of the 21st century communications shift. It has developed in response to the vast store of information now afforded by the Internet. If one looks at the various job boards, one can now find employment positions for content analysts. These are different folks than database administrators who manage the technology that underpins content and learning management systems. Though many new tools are appearing on a daily basis and making the job of content curation experts simpler, human involvement is still the most important factor for success. Curation is only one aspect of managing vast information stores. In fact, the dilemma may be in the compulsion to manage and share as opposed to the creation of novel ideas or original analysis. We need a mental model. One of the most lucid is KQED Mind/Shift’s 4-part series by Justin Reich and Beth Holland (they are co-founders of EdTechTeacher). Mind/Shift How we will learn. Sponsored by PBS station KQED. Focus on Tablets: The following Mind/Shift blogs explore the Someday/Monday dichotomy that teachers face, that is, how does one move from theory (sounds very cool; I’ll do it someday) to concrete application (it’s time to plan my lesson activity for Monday morning). They developed a compelling model that progresses from consumption of media to curation, creation, and connection. 1, Consumption: The Future of Tablets in Education: Potential vs. Reality in Consuming Media (May 8, 2013). 2, Curation: To Get the Most Out of Tablets, Use Smart Curation (June 11, 2013). 3, Creation: The iPad as a Tool for Creation to Strengthen Learning (July 22, 2013). Sharing is the second challenge of the 21st century communications shift. It needs to be seen as a gradient of experiences and interactions. Let’s differentiate between simple sharing (I found something cool); task-related sharing or collaboration to achieve an objective of goal; and the building of community. Simple sharing: little evaluation other than “liking” the item. Oftentimes there is little annotation. Current studies show that a large number of people typically share (for example, re-tweeting via Twitter) without even completely reading the article. This content surfing rides just above the surface waves of the content. A fascinating article by N. Bakshani entitled Binge Reading Disorder notes that the typical American reads more than 100,000 words a day. But does he or she actually understand even a fraction? Collaborative work: Sharing for the purpose of achieving a common objective is probably the new model of 21st century work. It is made possible by the “cloud.” Google Drive (often called Google Docs) has become a de facto standard for a collaborative workspace. Of course, there are other Apps as well. The point is that distance is no longer a limiting factor in work. Sharing at this level is more meaningful and typically produces a persistent product. Community: Over time the ability to share and collaborate can lead to persistent connections. One might call these communities. For example, it is interesting to see how Twitter Chats like #caedchat have evolved to become communities. Facebook friends and family setting has, for many, become the way to keep community alive when distance would otherwise prohibit regular interaction. Creativity is the third challenge of the 21st century communications shift. What is creativity? What does it mean to be original? In the context of the current blog, does over-sharing interfere with originality? Several issues and strategies offer some insights. The movement to Project Based Learning (PBL) may offer some help into a higher level use of educational standards. The foundation of PBL might be said to be the driving question (sometimes called an essential question). The key point that differentiates it from lower order thinking is that a driving question is open-ended. It is not simply the search for one right answer. Because PBL admits to multiple right answers, it fosters greater creativity in inquiry as well as more original content creation. One might make the argument that citizen journalism began when the first user reported a breaking story on Twitter before the news rooms could put together their stories. It leads us to ask: What is journalism, and how does it relate to the world of high school students? Can a preconceived narrative interfere with an uncovering of facts? Is it more important to tell or story, or to tell the truth? Journalists put a lot of emphasis on getting the story first; yet more important is to get it right. Given that many of the younger Millennial generation get their news from Bing, Yahoo, Twitter or an aggregator like Digg, it is important for educators to start developing lessons around standards of content curation and content creation. Kids love their music. Robin Thicke and Pharrell Williams produced the hit song Blurred Lines in 2014. The family of Marvin Gaye said they had copied the guts of Marvin Gaye’s 1977 hit song, Got to Give it Up. Thicke and Williams said they were paying homage to Marvin Gaye. However, the jury found in favor of the Gaye family, and Thicke and Williams were ordered to pay $7.3 million. This raises the question: Where does homage end and infringement begin? Copyright has a long history. Many educators and others use short sections of copyrighted work under the doctrine of fair use. But can it survive the 21st century? By extension we can ask the same of sharing. There are excesses for sure. Yet where does sharing start, and when does it become simply copying? We live in a rapidly changing world dominated by a flood of information, multi-leveled communication, and a wealth of sharing. It is an interwoven phenomenon of both process and content, and it is evolving rapidly. Teachers need to explore and understand how this evolution affects student behavior, student thought and classroom practices. The explosion of information as a practical matter requires both teachers and students to learn how to curate and to evaluate content. It requires that we explore models of sharing in education. When is an idea ours? When and how is it derived? Equal value has to be given to creativity and to one’s ability to use analytic skills. In psychology the phenomenon of seeking out information and sources that confirm our previously held beliefs is called “confirmation bias.” As such it definitely has a legitimate place in teaching students to cite and evaluate evidence to support their arguments. Reveal is produced by the Center for Investigative Reporting. The CIR originally produced the I Files. Check out some of their previous work. This topic is really an extension of Levels of Sharing explored above. What people know about us has increased with the explosion of Facebook, Twitter, Instagram and other social media. What are the boundaries between you and me? Can we have any reasonable expectation of privacy in a world of ever present social media and the powerful algorithms of Google? It will have to be the topic of a future blog.